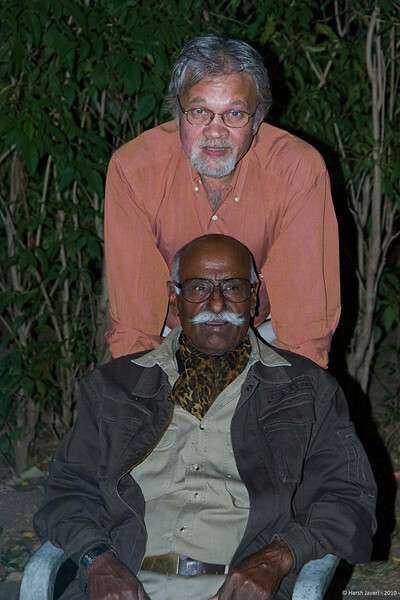 Fateh Singh Rathore, the legend of Ranthambhore is no more; he passed away this morning (1st March) after a brief illness. He was instrumental in nourishing Ranthambhore national park for many years as the field director and was one of the best known warriors in the global effort to save the Indian tiger. After retirement he was awarded the rare status of honorary warden of the park. He was a multifaceted personality and was equally at ease with children or adults and everyone who came in contact with him was affected in some way or the other. Not only that, people who had only heard or read about him were also impressed with his dedication and love for the tiger and the jungle. Even after retirement he continued his war on saving the tigers in particular and Ranthambhore park's conservation. That's how Tiger Watch, an NGO, was born and he served as its Vice Chairman. I've been associated with Tiger Watch for many years and it was during this time that I came to know him, having spent many days at his home Maa Farm and in the Park. I was fortunate to have gone there last Saturday and spent two days with him. He was quite ill and in pain but his ever strong spirit was still the same. He could barely whisper a few words but managed to convey his feelings with gestures, ensuring that the guests and visitors (there were quite a few) were all looked after and life carried on as usual. Last month his son Govardhan, our field biologist Dharmendra and his wife Divya asked close associates and friends to write a few lines on him. These notes were read out to him and never failed to bring a smile on his face. My note is included at the end. I pray his soul finds eternal peace in his heavenly abode and may Almighty give the family strength to bear this great loss. This is a very nice story. Thanks for sharing. It is encouraging to hear stories like this, instead of the usual, these days, about numbers and deficits. It is great to meet this man by this wonderful photograph. that is very nice Hershy - I am glad you had time with this great man - he sounds like a wonderful man and I am hopeful that his efforts will live on for eternity - Peace! Very nice tribute... The world needs more men like this..sorry for your loss Jarsh. It would be a big loss to the wild life conservation fraternity. I had met him and chatted with him for quite some time when I visited Rnathmabhore last year. A vey fine man and extremely knowledgeable. He assured me that I would see a Tiger; and thats what happened. Handsome portrait. Sorry for your loss. We need more such spiritual leaders . May he forever frolic with his beloved tigers. This is a lovely tribute, so sorry for your loss. The world needs more heros such as this. Wonderful portrait.